Wow, I remember that day as if it was yesterday, and yet it seems like a lifetime ago. I was so “cavalier” about having another breast biopsy. I had been through this so many times. I wasn’t scared, I was inconvenienced. My heart was heavy, my head spinning. Breast cancer? Me? I immediately thought of the horrendous surgery I saw my own mother go through when she was diagnosed with breast cancer many years ago. Why me? Why now? It almost seemed as though my life whirled in front of me. What had I done or not done to deserve this? I am turning 50. This must be a cruel joke! Black balloons, wilted flowers, but breast cancer? And now, I need to tell my husband, my children, my family. Chicago has a health outcome disparity problem. It’s a civic disgrace. Each year the consequence of this health equity gap in Chicago is that 3,200 black people die prematurely just because they do not have the same health outcomes as whites. The reasons why these racial disparities in health outcomes persist in Chicago at levels greater than the rest of the country is a story unto itself. As Tolstoy wrote in Anna Karenina, “Happy families are all alike; every unhappy family is unhappy in its own way.” And Chicago’s racial disparity in health outcomes arises from our own unhappy history of race relations in the city. Chicago’s past has contributed to create the situation we have today: patterns of institutionalized racism, hypersegregated medically underserved neighborhoods, high rates of uninsurance and mistrustful attitudes towards the health care system. The following figure from a recent Chicago Tribune article tells a story for breast cancer mortality disparity in Chicago that is instructive to review as we address solutions. A picture is worth a thousand words. Three days before she was scheduled to begin radiation treatment for breast cancer, Fran learned she had endometrial cancer. But minimally invasive da Vinci robotic surgery at Rush University Medical Center enabled the retired schoolteacher to quickly begin the radiation treatment. “We felt that if we can go ahead and do the robotic aspect of her endometrial cancer first and the recovery is short, then we can proceed with radiation to her breast,” said Alfred Guirguis, DO, a gynecologic oncologist at Rush. Fran was admitted on a Monday and left the hospital on a Wednesday with only five small incisions. 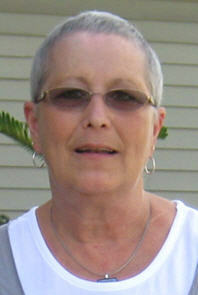 And she was able to proceed quickly with the radiation treatment for her breast cancer. Within a week, she was back on her feet doing everything she was doing before surgery. “Complications were really none,” he said. She said she’s grateful to the Rush team, noting that not all hospitals offer robotic surgery. “I appreciate every day. I appreciate all kinds of things I always did before but so much more now,” she said.